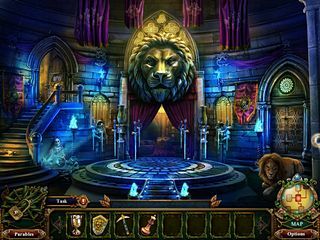 Dark Parables: Jack and the Sky Kingdom is another release in Dark Parables series. It is necessary to say to those who are new to the genre that they have to check out the rest of the releases under this title. The rest of the fans are probably all familiar with it and have their own expectations for this game. This game has a great story and great graphics to present it to our eyes. It should be said that the game stands up to the expectaions the fans of the series to have. The story is again about the characters that we know from our childhood. This time it is Jack (the one that is with the beanstalk), but he is a grown up fighting his battle with the kingdom in the sky. Yes, that another major part of the story. The sky kingdom has been falling apart and falling down on a town on earth. There's a lot more going on really so prepare for an adventure. This game has a great story and great graphics to present it to our eyes. The sounds add to the atmosphere and make it all look like a new Indiana Jones adventure kind of thing. 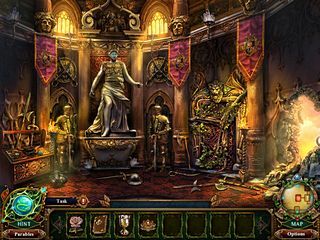 There are hidden object scenes with fragments and mini games that are fewer in number. There's a great number of items to be on the look out during the game as part of the CE. Also, you have to uncover the pieces for the four parables. The game is excellent and a real gem. You don;t want to miss it if you haven't played the series yet and don't know what to expect. This is Dark Parables: Jack and the Sky Kingdom review. Download this game here.